Affirmative action survives, for now, but the Court erects new hurdles for employment discrimination suits. 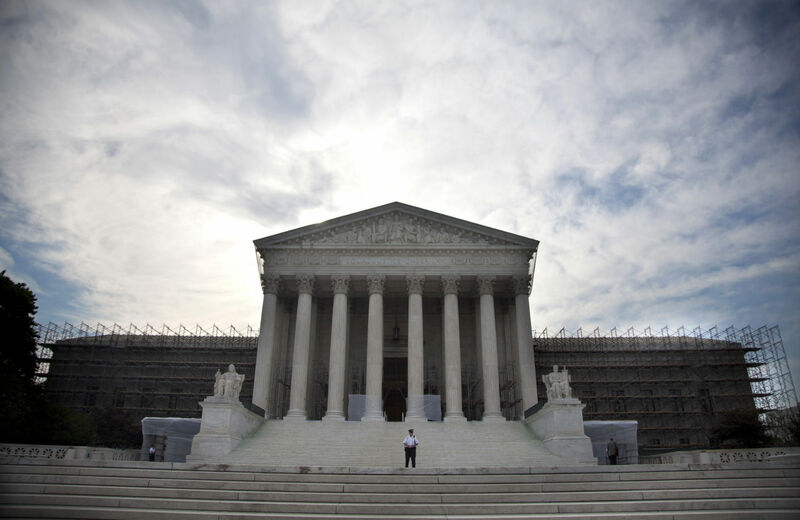 In a trio of decisions on race discrimination, the Supreme Court today stepped back from the precipice of invalidating affirmative action in university admissions, but made it harder for victims of discrimination and harassment to sue their employers. In Fisher v. University of Texas, one of the most important and closely watched cases of the term, the Court reached a nearly unanimous compromise decision that essentially leaves intact the constitutional status quo, which permits affirmative action for diversity purposes. But the decision may make it easier for disappointed white students to challenge affirmative action plans and therefore invites further litigation. In the two employment discrimination cases, the Court upended longstanding federal agency interpretations of Title VII, the statute prohibiting discrimination in employment, and issued a pair of 5-4 decisions that will make it more difficult for victims of employment discrimination to seek redress. The Title VII decisions, however, are subject to being “corrected” by Congress, as Justice Ruth Bader Ginsburg pointed out in reading her dissents in both cases from the bench. The vote in Fisher v. University of Texas was, surprisingly, 7-1, with only Justice Ginsburg dissenting, and doing so in only four pages. (Justice Elena Kagan was recused.) The Court achieved that unanimity by forging a narrow decision that did not change existing law and did not invalidate Texas’ affirmative action plan. The Court merely held that the lower court had applied an insufficiently rigorous standard in reviewing Texas’ plan. It remanded the case back to the lower courts so that they could apply the more stringent standard required. But it seems quite possible that the University of Texas will be able to satisfy the standard the Court set forth, thereby saving its program. The bottom line is that affirmative action has survived, for now. When the Supreme Court agreed to hear the Fisher case, many feared that the Court might be ready to end affirmative action. The Court had narrowly upheld a University of Michigan Law School affirmative action plan in 2003 in Grutter v. Bollinger, but Justice Sandra Day O’Connor had cast the deciding vote in that case. She has since been replaced by Justice Samuel Alito, no fan of affirmative action. It appeared that there might well be five votes to overturn Grutter, which had established that while affirmative action triggers “strict scrutiny,” it may satisfy such scrutiny where it is narrowly tailored to further a compelling interest in achieving the educational benefits of diversity. Justices Antonin Scalia, Clarence Thomas and Anthony Kennedy had dissented in Grutter, and Chief Justice John Roberts and Justice Alito seemed likely to agree with these three. The Texas plan, however, was quite modest—race was only “a factor of a factor of a factor” in a holistic consideration of all aspects of an individual’s application. It set up no racial quotas and made the consideration of race a marginal factor at best. But the university adopted the program after the state legislature had achieved a degree of racial diversity through a purportedly race-neutral “Ten Percent Plan,” under which all Texas students in the top 10 percent of their graduating high school classes would be guaranteed admission to the University of Texas. (This plan was only purportedly race-neutral, as Justice Ginsburg pointed out in dissent, because it was adopted with the knowledge and intent that given racial segregation, it would be an indirect way to achieve some measure of diversity). The question in Fisher was whether the university’s consideration of race to achieve diversity beyond that provided by the Ten Percent Plan, was warranted. All eyes rested on Kennedy, who, while dissenting in Grutter, agreed that diversity was a compelling interest that might, under some other circumstances, justify affirmative action. Kennedy, however, had never found a racial classification that he could accept, so in order to win, the University of Texas would have to satisfy Kennedy. It modeled its plan on that used by the University of Michigan, while tweaking it to ensure that each of the factors Justice Kennedy did not like in the Michigan plan was not present in the Texas program. But this hardly clarifies matters. The university, the Court said, does deserve deference in its assessment that diversity provides compelling educational benefits. Because the state interest in diversity is a matter of educational judgment as to which the courts have no real basis for second-guessing, it is difficult to see how the “narrow tailoring” requirement can be applied with much more teeth. If a state program must be narrowly tailored to a specific and measurable end, that’s one thing. But the Court has never really been able to say what narrow tailoring to the end of diversity actually means, other than a holistic consideration of each individual applicant, in which no racial quotas are used and race does not become a “defining feature,” whatever that means. The University of Texas seems to have complied with those requirements. In the end, what Fisher is likely to beget is more consideration by universities as to whether they can achieve the ends of diversity through race-neutral means. But that seems unlikely to change much in terms of outcomes, unless you think that universities are ignoring race-neutral means to achieve diversity now, a conclusion that is counterintuitive and wholly unsupported. The employment discrimination cases do change the status quo, and both do so along the usual 5-4 lines. In both cases, the conservative majority sided with business by making Title VII claims more difficult to prevail on, while the liberals dissented and urged Congress to reverse the Court. In University of Texas Southwestern Medical Center v. Nassar, the Court overturned a longstanding Equal Employment Opportunity Commission (EEOC) interpretation and imposed a new, demanding standard on “retaliation” claims. Title VII provides that an employment decision that is motivated by race or other impermissible factors is illegal, even if other factors also played a role in the action. The Court held, however, that to prevail on the related claim of retaliation for bringing a race discrimination claim, the employee must show not just that the retaliation was motivated by race but that it was the “but-for” cause of the retaliation, a much tougher threshold. Under this approach, the employer who retaliates in part because of an individual’s filing of a race discrimination claim will escape any liability if it can show that it acted for multiple motives, only one of which was to retaliate. As Justice Ginsburg pointed out in dissent, this double standard makes little sense. Congress and the Court have long recognized that to protect against discrimination, one must equally protect against retaliation for filing discrimination complaints; they are part and parcel of the same problem, and the same liability standard should govern both. In Vance v. Ball State University, the Court adopted a similarly employer-friendly interpretation of Title VII. Under Title VII’s anti-harassment provisions, employers have greater liability for the racial and sexual harassment of supervisors than of co-workers. The idea is that the supervisor’s authority over an employee empowers him or her to engage in harassment, and therefore employers should be held more strictly accountable for the actions of their supervisors. Here, too, the Court’s conservative majority rejected the view of the EEOC, which had sensibly defined “supervisor” as one who has authority to direct an employee’s daily activities. The 5-4 majority instead adopted a stricter standard, limiting supervisors to those who have the authority to take tangible employment actions—such as hiring, firing, or denial of promotion—against an employee. Again, Justice Ginsburg persuasively noted that this more stringent standard does not square with the statute’s language and purpose, much less the reality of the working world, in which those who can direct one’s daily activities are, as a result, clothed with the employer’s authority, an authority that can be abused for harassment purposes. Here, too, Justice Ginsburg urged Congress to correct the Court’s error—and it can do so, as the decision rested only on an interpretation of a statute, and not on the Constitution. In the end, Monday was a neutral day for affirmative action, which in this climate was almost certainly the best advocates of affirmative action could hope for. But it was a decidedly bad day for workers, who will almost certainly now face more racial and sexual harassment and retaliation, without legal recourse.